I recently wrote about Cat Deeley fronting the advertising campaign for Patene, and their new Aqua Light range. And to put my money where my mouth is so to speak, I thought I'd try some of it out. I want swisssh damnit! 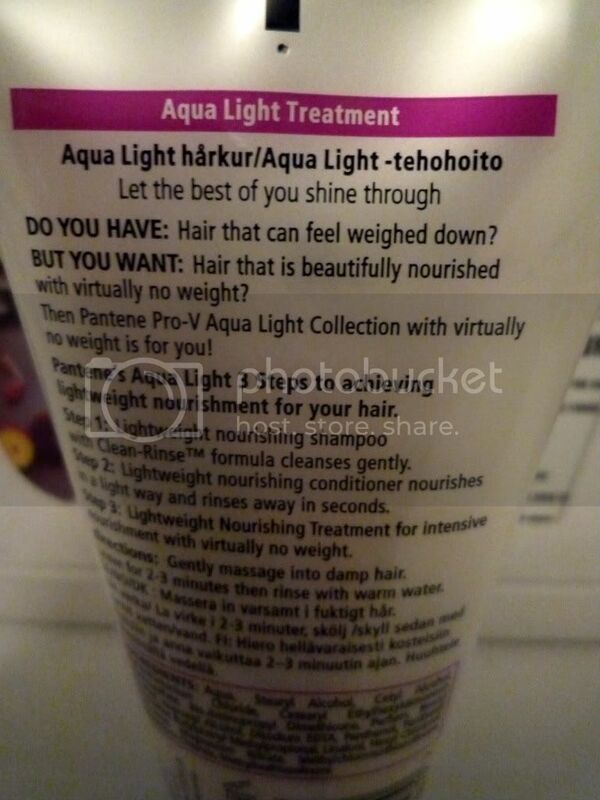 So I tried the Lightweight Nourishment Treatment (200ml) I got this half price at Sainsburys and as I colour my hair thought it'd be a nice treat that would hopefully not weigh my hair down and leave it feeling droopy and curtain like. I'm not a huge fan of Patene products, usually finding them quite heavy and overpowering on the hair. However, this range I found really left my hair feeling light, conditioned and as the campaign promises, Swissshable. Well if it's good enough for Cat, it's good enough for me! I haven't used the other items in this range, so can't comment on these, but I think the nourishing treatment is a fair indicator of how good the rest will be. I think the nourishing mist is next on my list to try - just because it has really pretty colours and seperates in the bottle. Although thinking about it Patene, if you can make a lightweight range, why not apply this to all your products, surely no one wants to buys a shampoo that'll leave their hair limp and lifeless?? Anyone else tried this range yet? What are your thoughts? 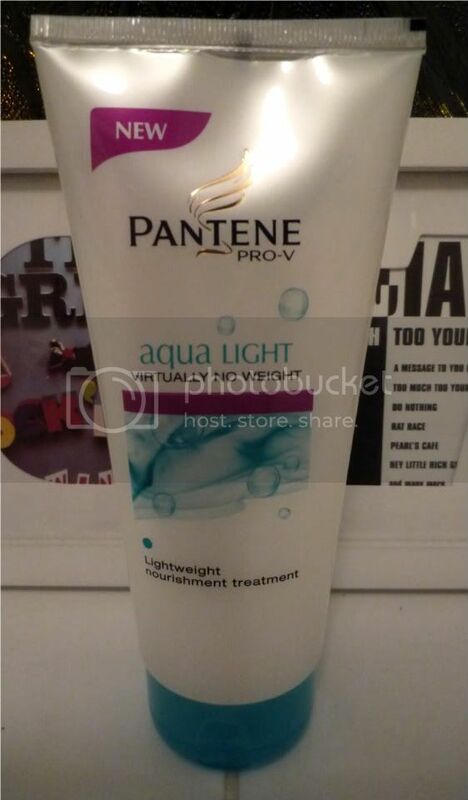 I am a bit anti-Pantene as a general rule, due to the same issues you have. They just seem to clog up my hair horribly. Might give this a go at some point though - I trust your advice and reviews more than silly advertising campaigns! Great swishing! Pantene hasn't been great for my hair in the past(same old weighing down my hair issue) but maybe this new range might be worth a go! 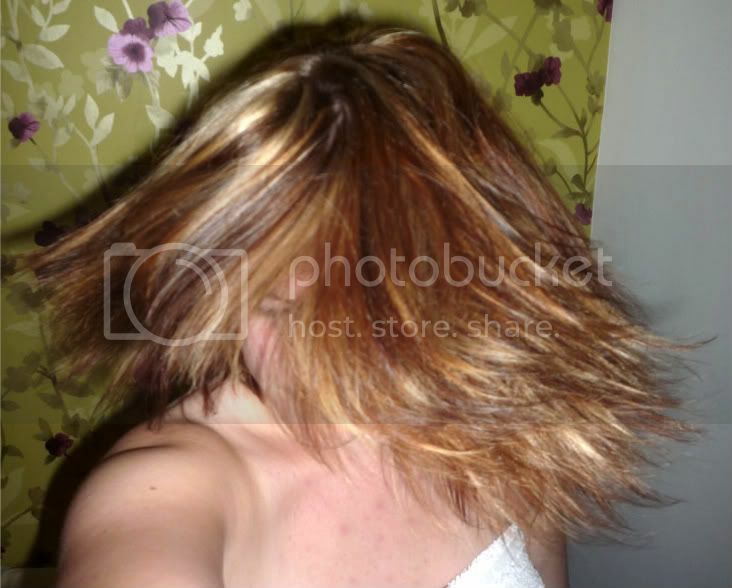 Hi I’m Julie and I work for Pantene. Thanks for reviewing our new Aqua Light collection – I can see you’ve mastered the swisssh pretty well!!! I just wanted to respond to you about why we don’t apply this lightweight formula to all our products. The Aqua Light range is designed for women who feel that their hair at least sometimes feels weighed down when they use a conditioner. Many women with certain hair textures need more moisture to smooth their hair down or improves its condition – if they have thick/dry/damaged/porous hair... Others want a conditioner which enable them to achieve a defined look such as curls or volume. Others will use a product that protect their coloured hair. In order to help them achieve these looks, we design a wide range of shampoos and conditioners which will contain various levels of moisture to suit their needs. According to their hair type and what they want to achieve, women will choose a certain range. Thanks Julie, I really appreciate you coming on to the blog and answering my question. I'm sure you take on board the comments above about Patene being a little heavy sometimes, I can totally see how girls with fine hair would love this though. I guess it's all about finding the range to suit you and your hair needs. Personally I found the colour range slightly too much for my hair - although I understand the need for more condition when maintaining healthy hair after colouring. I did love the Red Expressions range, found it gave my (dyed) red hair a boost. Always found it difficult to buy though. I'd definitely use this range again, and I'd hope some of my readers would try it to see if it'd be more suitable for them.